If there is one thing photographers are obsessed with it is lens bokeh. Even if you shoot landscapes or interiors at f/22, your mouth will surely drop the second someone pulls out a fast f/1.2 lens from their bag. One of the most sought after ultra-fast primes in the Nikon lineup is their manual focus 50mm f/1.2 lens. Can this 35-year-old design compete or even beat Nikon's newest 50mm f/1.4 lens in a studio setting? Today we find out. The "nifty fifty" lens has been one of the most widely used lenses in photography for generations. On a 35mm camera, this fixed focal length lens gives us a field of view that is very similar to what the human eye sees natively. There are many elements that make this lens exciting and useful for any photographer, but the most noticeable feature is the lens' fast aperture. Even the cheapest $150 versions of this lens still have a remarkably fast aperture of f/1.8. What does a fast aperture allow you to do? There are really two main advantages to having a lens that has an aperture that opens larger than f/4.0 or even f/2.8. The first and most obvious difference with these fast aperture lenses and all other lenses is they are able to drastically narrow your focusing plane and blur everything in front and behind your subject. This shallow depth of field instantly helps separate your subject from distracting elements in your background, and it gives your photos that "professional" look even if you simply took a quick snapshot. The second big advantage a fast aperture lens gives you is it allows you to shoot with higher image quality in low light. Shooting in low light conditions can be extremely difficult for photographers because they either have to raise their ISO setting to extreme ranges or they need to reduce their shutter speed to allow enough light to enter the camera. Sometimes you have to do both which even compounds the problem more. With today's modern digital cameras and sensors, shooting at higher ISOs like 1,600, 3,200, and even 6,400 isn't nearly as detrimental to your final image as it used to be with older digital cameras or even film, but it's always ideal to shoot at the lowest ISO possible to retain the most amount of detail. The more common problem with shooting in low light is having to choose a slower shutter speed which many times cannot freeze action. In order to freeze most human motion that doesn't involve sports, you need a shutter speed of around 1/60–1/200 of a second. Anything slower than that will either introduce motion from your subject moving too fast or motion blur throughout the entire photo due to you not being able to hand hold the camera with enough stability. A fast aperture lens can solve both of these problems because the lens allows more light to enter the camera which means you can increase your shutter speed without having too dark of an image. The Nikon 50mm f/1.2 lens used to be a flagship lens back in the early 1980s. Back in the glory days of film photography, this lens offered the most amount of light to enter your camera and was perfect for all types of photography including photojournalism, portraits, and still life. Back in this golden age of photography, many of the modern features of autofocus, internal focusing, vibration compensation, and fast ultrasonic motors were not even invented yet (Pentax created the first autofocus camera in 1981). Today this lens still has a super smooth focusing ring and a manual aperture ring which can be useful when you want to manually lock your aperture or use this lens with adapters. But can the older lens design and lack of modern lens features allow this lens to compete with more contemporary lenses like Nikon's newest flagship f/1.4 50mm lens? Below are two images shot in the same conditions with both the Nikon 50mm f/1.2 lens and the Nikon 50mm f/1.4 lens. For lighting, I decided to use constant lights instead of strobes because strobes are simply way too powerful for these lenses when shot wide open. The background was lit by some cheap Christmas lights I had lying around and the key light was just the modeling lamp from a Profoto B1 (you can see the flicker it caused in the video). To modify the light and make it a small soft light, I simply placed one of our Fstoppers Flash Discs on top of the Profoto. Both images are shot at 1/60 of a second and to compensate for the difference in exposure caused by the two different apertures, the ISO was set to 640 and 800 respectively. Each image was then processed in Lightroom with the exact same settings to try to further mitigate any differences between the two lenses. As you can see in the two examples above, the differences between the two lenses aren't as crazy as you might expect. Sure, there are definitely color and contrast differences with the older Nikkor 50mm f/1.2 having more green and more contrast (more crushed blacks) than the newer Nikkor 50mm f/1.4 lens. The depth of field is also slightly more shallow in the older lens than the newer lens and the older lens is also much softer than the newer lens in the areas that are in focus. Are these differences enough to completely change the look of your photography? I'll let you make that decision for yourself, but for me the differences aren't as drastic as I would have thought. The biggest difference between these two lenses is not necessarily from the image quality but rather from the user experience. There is a huge difference in taking photos with the manual focus f/1.2 lens versus the autofocusing f/1.4 lens. Obtaining tack sharp images by looking through the viewfinder and trying to manually focus the f/1.2 lens is extremely difficult compared to the near perfect accuracy of the autofocus found in the newer f/1.4 lens. In the video above I said about 70 percent of my images were in focus with the manual lens but really that number is probably closer to 50 percent after I looked through more of my images from this session (and 50 percent is pretty good from my experience using this lens). 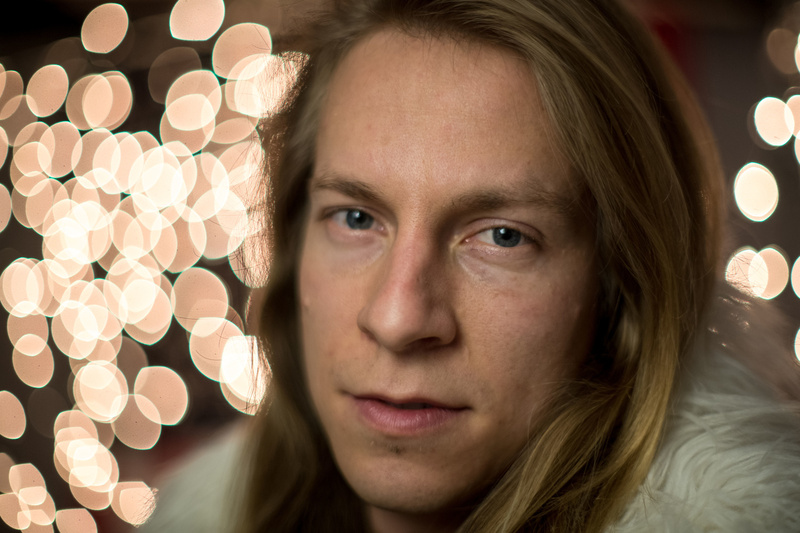 Even if you are a huge fan an insane amount of bokeh in your photos, you are probably going to be extremely disappointed in how soft image looks in general. If soft focus and creating avant-garde-style images using older gear is your thing, then this lens might be perfect for you, but for 90 percent of the photography community, I think they are going to be left feeling a little disappointed with this lens when shot at f/1.2. Another big difference between these two lenses is the overall build quality. The older 50mm 1.2 lens is part of Nikon's AI series lenses and if you have ever used the older lenses you know how heavy, beefy, and substantial they feel. Both the aperture ring and the focusing ring feel really nice, and this lens actually makes the $450 Nikkor 50mm f/1.4 lens feel a little cheap with it's plastic and less smooth feeling focusing ring. If you have ever held both the Nikon 50mm f/1.4 lens and the much cheaper 50mm f/1.8 lens side by side, they almost feel exactly the same. It would be nice if Nikon updated their flagship 50mm f/1.4 lens to make it more competitive with some of the other much nicer lenses made by Sony, Sigma, and Zeiss. I know this test isn't the most conclusive test for those who like to see charts, multiple examples, and pixel peep at 100%, but having used this lens for about 10 years now I feel like this example showcases what I have known for years. The Nikkor 50mm f/1.2 lens is definitely a fun lens to have in your studio but it might not be something you place permanently in your camera bag (unless your this camera bag which literally holds everything). Obtaining accurate focus with this lens is extremely difficult to the point that you will probably miss a lot of the photos you take when shooting wide open. The color and contrast of this lens are also a bit more limiting compared to other 50mm lenses but if you like that nostalgic look then maybe less is more in this case. For some videographers or those photographers who enjoy using Nikon lenses on older cameras or other company's cameras, the manual aperture might be an advantage over the electronic "G" aperture found on Nikon's newest lenses. Or perhaps if you simply love the feeling of having an old manual lens and exploring the world through the technology of the past, this lens might be perfect for you. However, in almost all situations, I feel like I can get an image that looks 95 percent the same with 10 times more accuracy by using the Nikon 50mm f/1.4 lens instead of the f/1.2 lens. 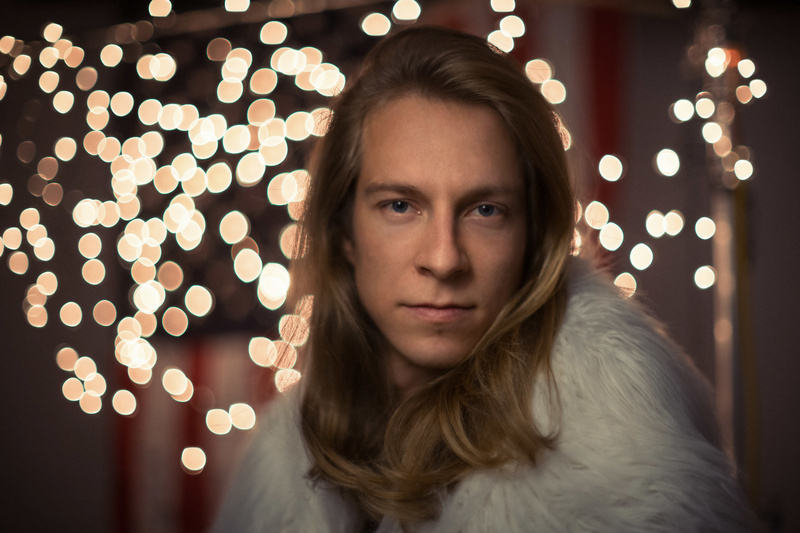 Here is the final photo of David "Shaun White" Strauss that we created in the studio. 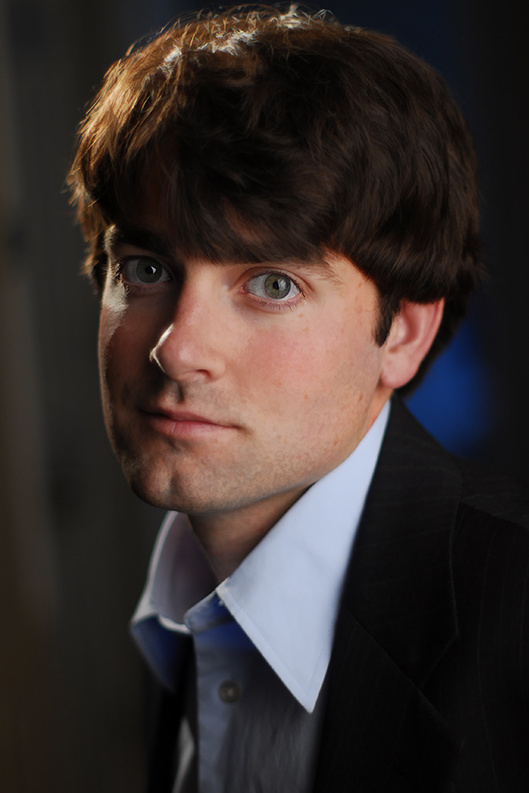 Just for fun, I found an old and hilarious low-resolution image of one of the first "formal" portraits ever taken of me back when Lee and I were first playing around with lighting. 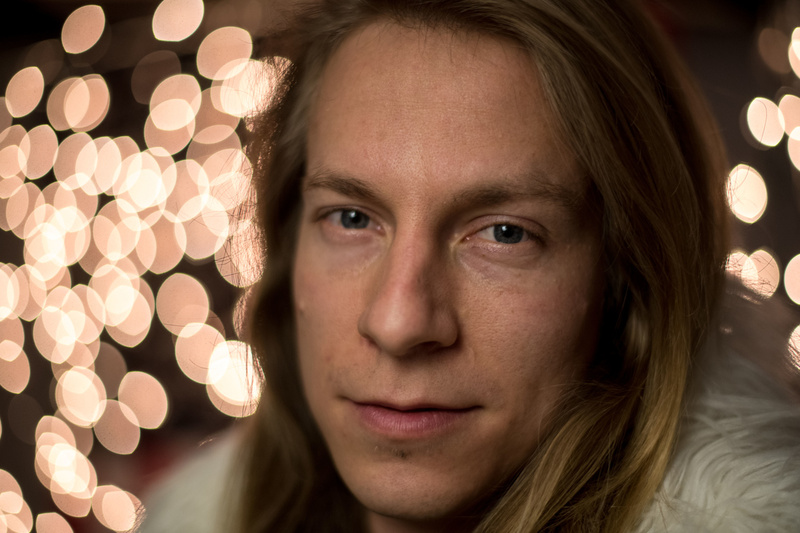 This image was taken with the 50mm f/1.2 wide open which helped make the boring apartment hallway behind me turn into an abstract background. I'm not a very sentimental guy and I'm usually not attached to my gear at all but that 50mm 1.2 is mine and I probably won't ever sell it. It was the first "pro" lens I purchased when I was in college and there's something special about it. I rarely use it and the 50mm 1.4 is better in almost every way, but that smooth manual focus of the 50 1.2 makes it the best feeling lens I've owned. 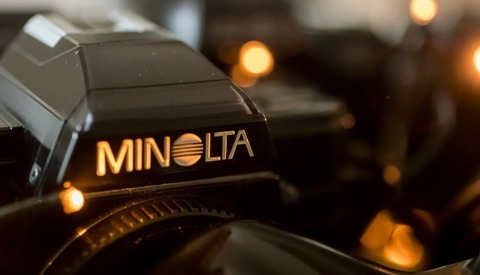 I was hoping this review would show that the 50 1.2 was superior, but it wasn't even close. Oh, and that shot of David is super creepy. A point on focusing older lenses is that it's for some reason more difficult to do on a DSLR, even with old school focusing screens like I have in my cameras. It may have to do with the semi-reflective mirror losing some light. Although you'd have to shoot film, if you put that f/1.2 lens on an older manual body with no AF like an F2, I'll bet you'll find it much easier to focus, and you'll probably have a higher hit rate. Is that because the film cameras are brighter? I thought the D850 was one of the brightest prisms Nikon had and the view finder is huge. It appears to be a combination of things. At least, to me. First, yes, the viewfinder is brighter because cameras like the old F2 of course had no AF systems, and their mirrors were designed to be as bright as possible versus the semi-reflective DSLR mirrors. Another factor is the focusing screen. If you're using the native DSLR screen it adds to the focusing problems for some reason I don't really know. Below are two macros I took of the screens from my D600, and a replacement modified Nikon K3 screen I got from the Taiwanese outfit focusingscreen.com, who modify old school screens to fit into DSLRs. 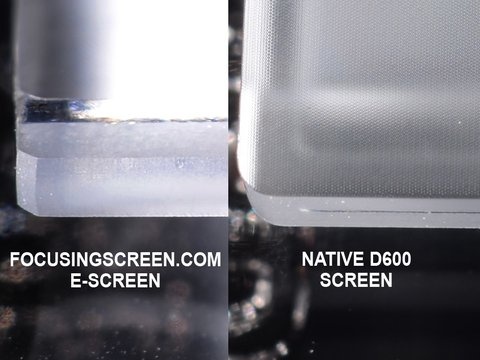 Notice there is a series of microprisms on the D600 screen surface versus the plain groundglass of the K3 screen. It's about 1/4 stop brighter too (which does affect your metering by such, but that doesn't bother me). It's much easier to focus on the matte area of the K3 screen. I rarely use the split-image/microprism focus aid. Finally, there is something about the eyepiece mag and relief that just makes viewing through my old film bodies seem larger. Not just the live area, but there just feels like there's more space for some reason, I dunno. Just throw your f/1.2 on an old F2 or F3 and you'll see what I mean about the combination of these factors, and see what you think. That's the problem, modern screens are designed for brightness, the coarse older ground glass was more accurate for MF. Perhaps I wasn't clear above. It's the old K3 screen that's 1/4 stop brighter. Sorry, Patrick, but I kinda feel like you’re missing the point. In the 80s, a half stop was a huge advantage when trying to keep the camera steady or freeze the action with a roll of film and a fixed ISO. Adjust your test settings for ISO400 and notice that you might be able to hand-hold a 1/40 second exposure, but it’s much tougher at 1/25 of a second. I love the dreamy look at f/1.2, but I’d also expect the older Nikkor to be incredibly sharp at f/2, which is a much more practical aperture in many situations. The signature feature of this lens is the uncorrected spherical abberation that really gives the images character. I know it’s technically a flaw, but at a true working distance in a non-studio situation, there’s a lot to love over the somewhat clinical f/1.4 Nikkor. Besides, if you’re only interested in how sharp a lens is at close range, Nikon makes a 55mm f/2.8 Macro that was purpose-built for that. Horses for courses. Anyway, sorry to nitpick. Thanks for the content! All great points! To be fair, I've never really used the 50 1.2 outdoors as a photo journalistic lens at f/2.0. I can appreciate the character older pieces of gear can give you but for most of the stuff I shoot I'm going more for reliability and the clinical accuracy over the mood and feel an older lens can give. To each their own but yeah I bet in the 80s this lens was the cat's meow! 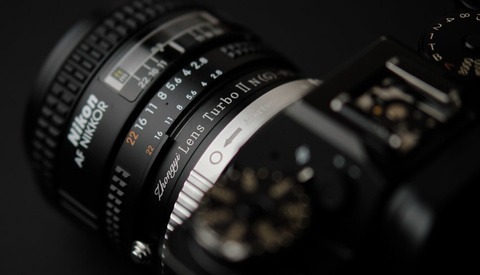 In regard to your article on Nikon f/1.4 manual lens, in f-stoppers, I have a curious inquiry. I have in the past used manual Nikon lenses with digital cameras to assist in teaching students how to better understand proper exposure with the aperture. Recently I tried an older Nikkor 50mm 1.4 lens on a D200 and it seated, but did not click into place. I did not force it. Wish to use this beautiful lens again. Please advise and make any suggestions. Hmmmm….it should have worked. The D200 was my first camera ever and I remember using older manual lenses on it all the time. I can't think why it wouldn't work.